Kari Byron's story hasn't been a straight line. She started out as a broke artist living in San Francisco, writing poems on a crowded bus on the way to one of her three jobs. Many curveballs, unexpected twists, and yes, literal and figurative explosions later, and she's one of the world's most respected women in science entertainment, blowing stuff up on national television and getting paid for it! In Crash Test Girl, Kari reveals her fascinating life story on the set of MythBusters and beyond. Playtex's spacesuit went up against hard armor-like spacesuits designed by military contractors and favored by NASA's engineers. It was only when those attempts failed - when traditional engineering firms could not integrate the body into mission requirements - that Playtex, with its intimate expertise, got the job. 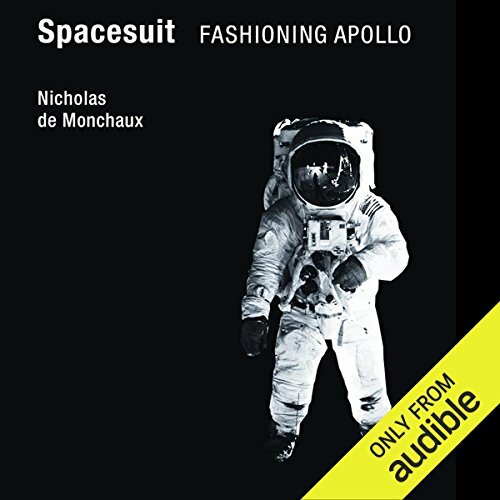 In Spacesuit, Nicholas de Monchaux tells the story of the 21-layer spacesuit in 21 chapters addressing 21 topics relevant to the suit, the body, and the technology of the 20th century. He touches, among other things, on 18th-century androids, Christian Dior's New Look, Atlas missiles, cybernetics and cyborgs, latex, JFK's carefully cultivated image, the CBS lunar broadcast soundstage, NASA's Mission Control, and the applications of Apollo-style engineering to city planning. The 21-layer spacesuit, de Monchaux argues, offers an object lesson. It tells us about redundancy and interdependence and about the distinctions between natural and man-made complexity; it teaches us to know the virtues of adaptation and to see the future as a set of possibilities rather than a scripted scenario. 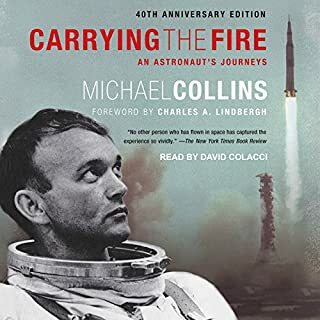 ©2011 Massachusetts Institute of Technology (P)2014 Audible Inc.
We are all so inured to the image of the Apollo 11 astronauts in their puffy marshmallow-man space suits, that we forget what sensational achievements those suits were. This is the story of how the elegant, but ultimately impractical designs of military industry were defeated by Playtex, makers of women’s undergarments, the people who knew how to fashion fit. 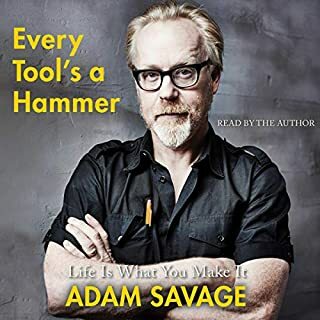 Anyone looking for the irony in history here’s your audiobook. It’s filled with moments of deep moral inquiry juxtaposed with the absurd. These twenty-one essays, fascinating and funny, describe the suit and its evolution from fashion, manufacture, the absurd things expected of earth-evolved human bodies in outer space, the space race, and more. Almost quit listening during the first chapter, which about as much in French than it is in English, but overall glad I stuck with it. There's a lot of history, social commentary, and fashion talk in the book, not nearly as much technical information as I would have liked. The chapters are called layers due to the many layers of the suit, but they never fully describe the physical layers of the suit. This book is more metaphor than reality. There is too much use of vocal intonation and the story doesn't help this by repeatedly reaching so far into off topic areas as to be disorientating. It couldn't keep a viewpoint straight to help the reader see the authors points. Is this supposed to be the view of ILC? NASA? MIT? The other companies? The astronauts? 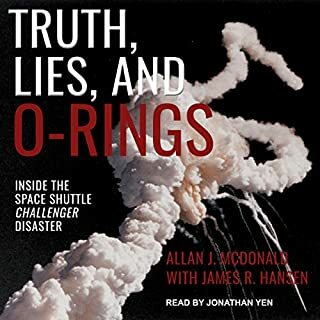 This book is about much more than a spacesuit, it is about how the entire aerospace industry was crafted and the dramas, social, technical, trial and error which ensued. I was surprised and delighted to learn just to what extent our aerospace heritage was crafted by hand, in the style of tinkerers and artisans. Important uplifting reading for any citizen of the modern technological world. Ingenious study of the formation of the Apollo spacesuit amd its connection to wider cultural movements. Great narration. Great collection of facts. Things to tend to seemingly go off track quite quickly, not appearing to be related to the overall topic but they are brought back in an interesting way. The last hour or so is a little unnecessary and once the book covers the return of the astronauts you will not be missing out on much by skipping the rest. What would have made Spacesuit: Fashioning Apollo better? It would have been better to talk much more about the story of the Apollo space suits. At least some of the items that had nothing to do with space suits had to do with the space program. What was most disappointing about Nicholas de Monchaux’s story? I found the book spent way too much time addressing items that seemed to be irrelevant to the story. What three words best describe Bronson Pinchot’s performance? the author frequently gets lost on such issues as "Man as cyborg" or "Apollo's impact on urban planning" The story about how the seamstresses of Playtex sewed a 21 fabric layer suit without using pins is amazing to anyone who has tried to sew two pieces of fabric together. That NASA needed a concrete record of the craftsmanship involved in making a suit showed that craftsmanship is often an undefinable entity. Was Spacesuit: Fashioning Apollo worth the listening time? the author is apparently an architectural critic or urban planner and his background frequently intrudes on an otherwise fascinating story. Not what I thought it would be but it turns out to be a pretty good book.. This author analyzes the human nature and politics of how it came to be that the A7-L suit was even made let slone used for Apollo. I do recommend this book for Apollo enthusiasts even though it does not really get into the nuts and bolts of the suite. Well, it does, but not in the conventional way. Interesting book but a little diffuse. 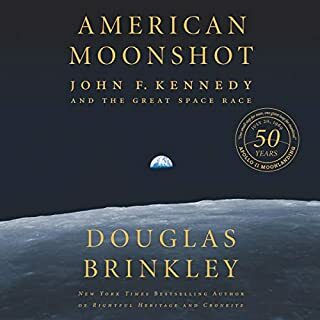 There are a great deal of interesting facts in this book, however, the connection between some of them and the Apollo spacesuits are rather tenuous. 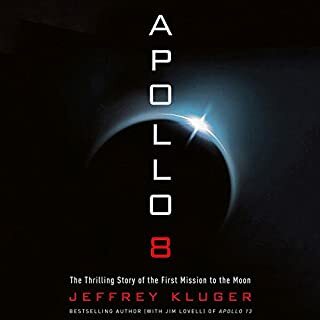 That said, where the narrative relates more closely to its subject the author gives a new slant to the story of the design and development of the Apollo suits, why the soft shell Playtex produced suit was superior to the hard shell competition and so-on. Those parts of the book were fascinating, unfortunately the other parts, whilst interesting, just didn't grab me so much. My other disappointment was the lack of detail on the actual makeup of the suits themselves. The fact they had 21 layers is right up there but what is never discussed is what most of those layers were and what their function was. I'd have liked even a quick run through as a minimum. That said there were some stand out moments in the book not the least of which was one of the pitches Playtex made, no paper, no slides, just a short film of a man in one of their suits running around a football pitch alongside an unsuited man, throwing a ball, jumping, etc and generally doing things a man in a hard shell suit could never hope to manage. Overall, a good book but could have been a great one. The narrator on the other hand was excellent! This title has a contrivance at its heart - the chapters are set out in the same number as the layers in the titular suit and there are some pretty theoretical bits of social and design theory. 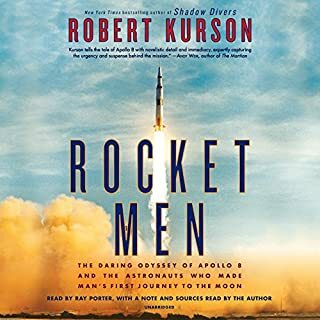 However, if you are interested in Apollo, the space race, science and technology or the complexities of complex technical garment design and production, this title will have something for all of you. I found it generally fascinating and even the slightly heavy going bits couldn't put me off. It covers the technical landscape of the time - looking at contemporary design theories, the NASA environment,, the bureaucracy, the testing challenges and other manufacturers approaches, the inspiration of design, the persistence of Platex (who actually made the suit - which I wasn't aware of) and their completely different philosophy which made their suits so successful. It is well narrated and I found it a mostly easy listen while travelling and walking to work. I learnt a lot, and while it could have been written in a more popular science style, some of the depth and breadth would have to be left out. Stick with it and you'll learn a lot (at least I did). I found this book to be captivating from beginning to end would recommend to anymore who studies design, history, astrophysics and astronomy. Or anyone for that matter that is interested in the story of the us space Program as whole.